Gary O’Brien works with large enterprises taking a Lean Enterprise approach to drive change to the culture, planning, governance, and structure of the enterprise to better align with customers’ needs. This new framework for scaling agility in the enterprise is drawing the attention of the world's business and technology innovators, but it is not a journey without speed bumps. Gary discusses the hurdles that must be overcome in order to become a responsive organisation. 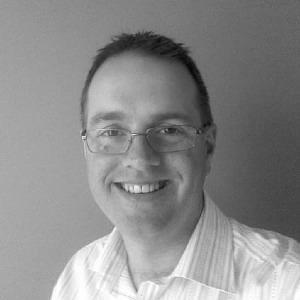 Gary has over 20 years of experience in helping executives, teams and individuals adopt and improve techniques to build humanistic organisations more capable of responding to the increasing pace of change. His passion lies in assisting senior leaders to increase business agility and the aligning strategy to the delivery of value to customers.